Right the , here ya go. Right then off you go Kenny, have fun at the Pony! Wait a sec mate, I aint stupid! Iv'e got a screwdriver! And I'm not afraid ta use it! Ahh my sonic screwdriver! I was wondering where that went! 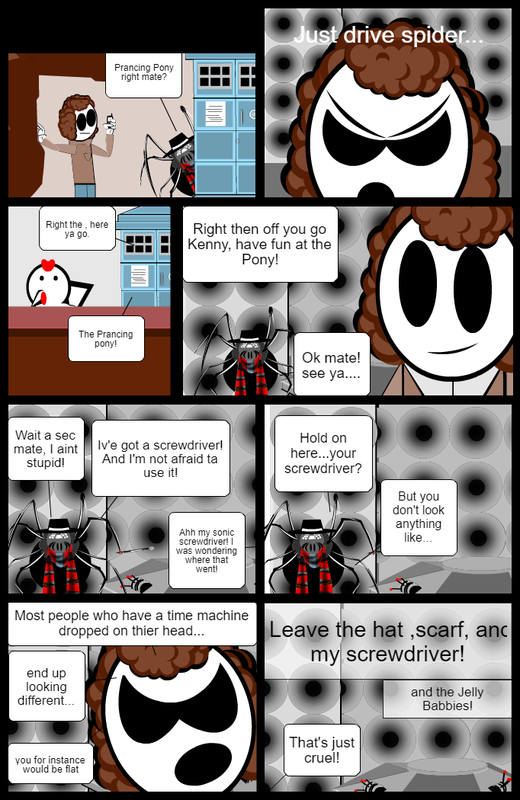 Leave the hat ,scarf, and my screwdriver! Wait, did crag just say cardboard UPGRADE? Just wait til the doctor finds Kenny's beer making upgrade! Just you wait, Kenny will be back in his cardboard upgrade! Ya think Kenny doesn't have a stash? Not all the jelly babies! You have to leave him something!